Click in the gray box above for pictures of our previous apartments. Students & local friends: Click here for info about how to find our apartment, see the outside, and find out what to expect before you visit. 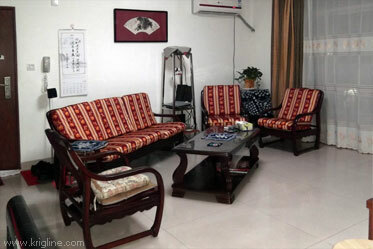 Here are a few photos to show the apartment we moved to before Michael's second year of teaching at Xiamen University. For a map showing where we moved from, click here, and for neighborhood photos and a map showing the way to this apartment, click here. 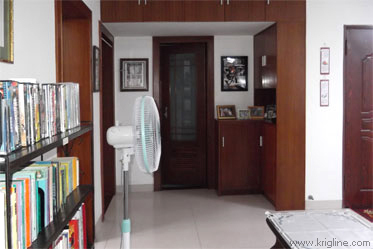 When you enter (that's the front door on the left), this is the room you see first. The furniture came with the apartment, and it is quite comfortable. Since neither of us like steps, we're glad that we are on the second floor. 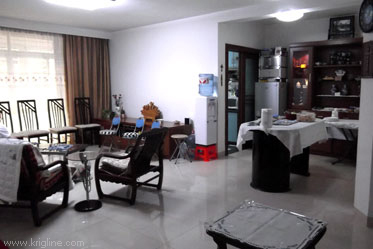 The kitchen is narrow, but it has good counter-space (you can see our rice cooker, toaster oven and microwave on the right). It is nice to have so many cabinets, unlike our previous apartment. 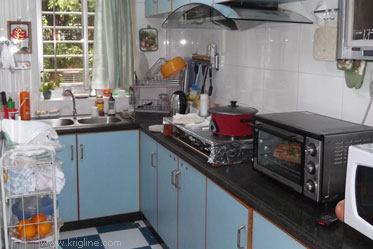 We had to fight off the roaches who used to call this room home, but overall it is a nice kitchen. Standing in the corner by the main bathroom (in the center of the left photo), you can see how large the "great room" is! We have a projector that can fill this white wall with our favorite movies, and lots of space for visiting students and friends! The clothes washer is on the (first) balcony, behind the row of chairs (set for our first party!). Here is the master bedroom, with Vivian's desk in the corner. There is a small bathroom just to the left of this photo, and we dry our clothes on the (second) balcony behind the dark curtains. 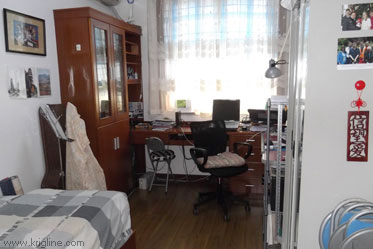 This is Michael's office, with lots of space for books and computer or class-prep work. This room also has a bed that we've already used with overnight guests. This good-looking group was the first to visit our Xiamen apartment in the summer of 2012; they came to our "house warming party" where we sang a bit, enjoyed eating tacos and fruit, and spent some time praying for a blessing on the home and all who enter here. Come visit us to see if these prayers worked! We're sure you will sense a peaceful and loving atmosphere. 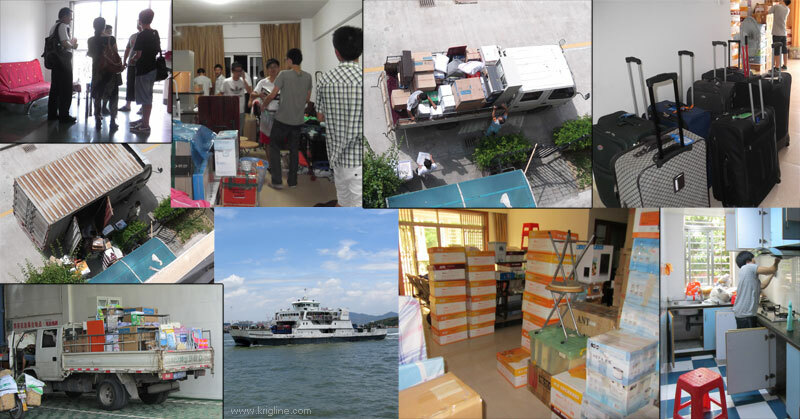 Below is a montage of our move from the Zhang-zhou Development Zone to Xiamen. 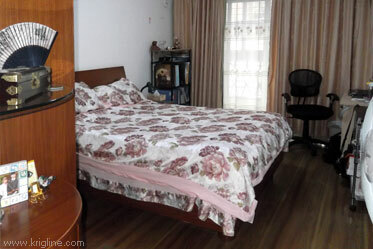 The process began with visits to a number of apartments in Xiamen. If they weren't too expensive, they were too small, too dirty, too noisy, etc. But the Hand of Providence finally smiled upon us and we found a nice, large (though still expensive) place near the XMU Hai-yun campus. In the next photo, students help us finish packing. Several even made the trip with us on moving day. What a great bunch of students!! while Michael accompanied the moving vans on the vehicle ferry. Fearing that everything would not fit into one truck, we actually ordered two vans; when almost everything had been packed onto the flat bed, low and behold, an enclosed truck showed up! If they had sent that one first, I'm sure everything would have fit inside, and I wouldn't have had to worry about rain. Oh well! Below that, you see the flat truck on the ferry, also shown in the next picture. The movers were strong and professional, so it didn't take them long to unload everything into our new apartment (during that light rain I mentioned). Yes, there were lots of boxes--many containing books and DVDs, including a large number that we loan out to students/friends. With students so far away, and about to leave for the summer, we knew we would be on our own to unpack and clean--except for Ms. Huang, a "friend of a friend" who worked very hard to help us battle roaches and clean the dirty kitchen.  To see how the apartment looks with the boxes empty, scroll to the top of this page!